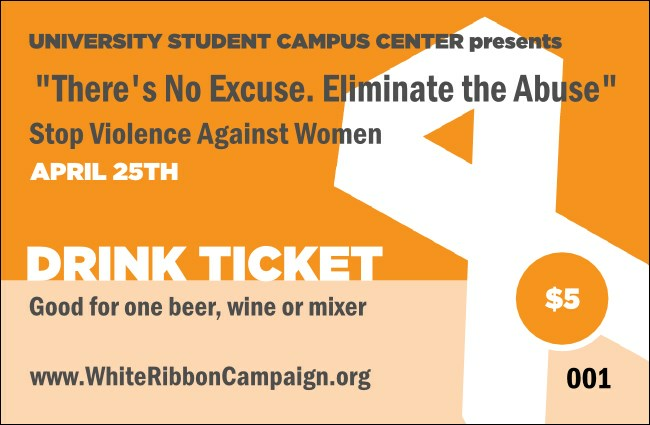 Raise a glass to stopping violence against women with the White Ribbon Photo Drink Ticket. With a bold orange background and angular lines in the white ribbon, this ticket makes a strong statement. Combine with a Matching Event Kit for coordinating tickets, posters, fliers, and more! Need more materials for your event? Browse the gallery at TicketPrinting.com!